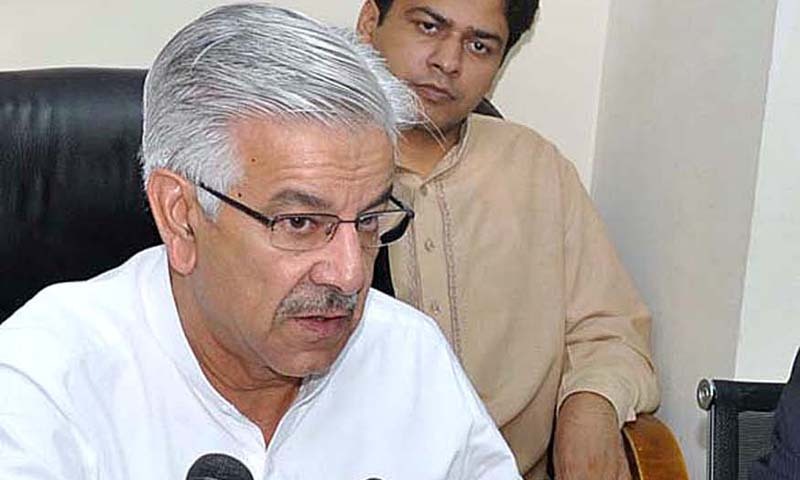 ISLAMABAD: Minister for Water and Power Khwaja Asif said on Friday that the country could face a severe water shortage in 10 to 15 years and a drought-like situation suffered by Ethiopia over the past decades. He said at a press conference the water shortage was fast reaching serious proportions. �We are on the verge of facing a life and death situation,� the minister said. He criticised previous governments, including military regimes, for not taking the matter seriously. The 50-year-old Indus Water Treaty has not been of benefit to Pakistan and this is what happens when military dictators take major decisions which ignore the interest of the masses. But he said that this was his personal opinion as a political worker. The minister said the government would have to decide how to address the matter. Mr Asif said that India had been taking advantage of the situation only because of this treaty. He said that the country was already in grip of water shortage and accused India of deliberately allowing only limited flow of water into Pakistan. �They are not giving our rightful share of water.� He also blamed previous governments for not taking up the matter seriously. �We have lost a lot of water over the past 50 years. Now we need to make a plan for future. We need to control our population and construct new water reservoirs,� the minister said. The secretary of water and power and officials of the Indus Water Commission briefed journalists on 53 hydropower projects and reservoirs under construction in India, including Krishenganga project. The Indus Water treaty is a water-sharing accord between Pakistan and Indian brokered by the World Bank in 1960 and signed in Karachi by Prime Minister Jawaharlal Nehru and President Ayub Khan. The treaty was the result of Pakistan�s concern that India might block water at source. The treaty gives India exclusive rights to use the water of eastern Ravi, Beas and Sutlej rivers before entering Pakistan. Pakistan has similar rights over western Jhelum, Chenab and Indus rivers, but with some stipulations about development of water projects on these rivers by India.